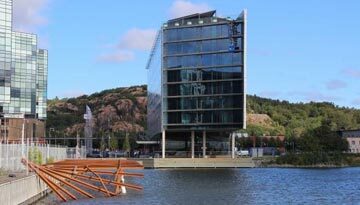 Sweden's second biggest city is popular with tourists, and anyone visiting Gothenburg for the first time will soon be captivated by the charm of this former shipbuilding centre on the country's west coast. With narrow cobbled streets thronging with great shops, a thriving café culture, superb seafood restaurants and boasting one of the world's best rollercoasters, Gothenburg has plenty to offer visitors. 'Cool' is a word often used to describe Gothenburg by those in the know, and they don't mean the weather. Gothenburg is one of those places where you keep on discovering quirky little shops or boutiques, flea markets, galleries and bars. With such a variety of things to see and do, and all within walking distance, Gothenburg is the ideal choice for a weekend city break. 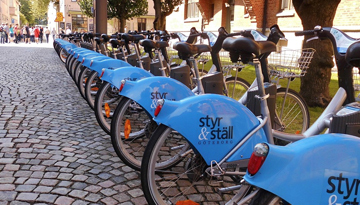 Taking one of the regular boat tours is a good way to get an overview of the sights, or you can hire a bicycle and explore one of Europe's most cycle-friendly cities. For extra thrills, check out the Liseberg theme park and the wooden-track rollercoaster, which has been voted best in the world on at least two occasions in recent years. Radisson Blu Riverside Hotel offers 4 star 1 night room stay at £90 & save up to 20%. 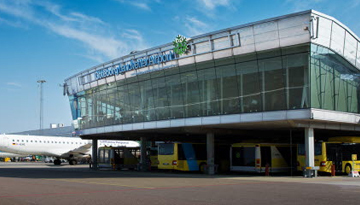 Fly from Luton - Gothenburg & Stay for 7 nights with 4 star accommodation. Room Only.